I love to eat out. The food. The wine. The atmosphere. The conversation. All of these things fuse together to create an experience that is difficult to mimic elsewhere. I never go out to experience just one of these. I always go to experience all of them because if just one of the above mentioned topics is missing, then it’s forgettable, which is the worst thing that can occur when I go out to a restaurant to enjoy myself. I want to remember every restaurant I walk into, but, unfortunately, that isn’t the case for all of them. Maybe the wine and conversation were good, but the atmosphere left something to be desired. Or the atmosphere was great, but the food was lackluster. It’s during these occurrences that the restaurant fades away to the back of my brain to a place where I can no longer locate it. But why am I droning on and on about eating out? Because when I eat out, I am introduced to new flavors, ingredient combinations, and cooking techniques. Sure, you can read about these things on various food blogs or in magazines, but it’s when you can use all five of your senses to experience it first hand that you truly understand and grasp the concepts. 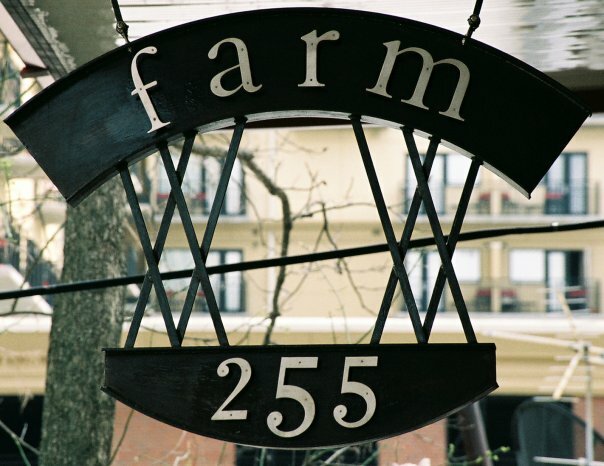 When I was living in Athens, GA, I ate at Farm 255 (a local restaurant that is no longer open) with a friend. The concept was farm-to-table, which is very popular today. The layout went along with this theme and was very open with wooden tables and chairs. The kitchen was visible to the diners, which can be a nice touch, but isn’t necessary to be successful. We ordered a bottle of red wine that was probably French in origin because that was my preference during those years. (I don’t remember the name of it because while I was dining there, I didn’t know I would one day be writing a piece on the experience. Just a reason that whenever you eat out, you should bring a pen and paper to write things down that you never want to forget). I’m thinking it was a Cote du Rhone, which is a favorite wine region of mine. Regardless, it was delicious. For an appetizer, we ordered the cheese plate, which consisted of small-batch cheeses from farms in Tennessee, Georgia and North Carolina. All ingredients were sourced from Southern states, something that quite a few restaurants down here have started to do. You know, staying local. Anyways…the accompaniments for the cheeses included spiced nuts, fruits, honey, and bread. Each addition was paired with a particular cheese much like wine is paired with food. 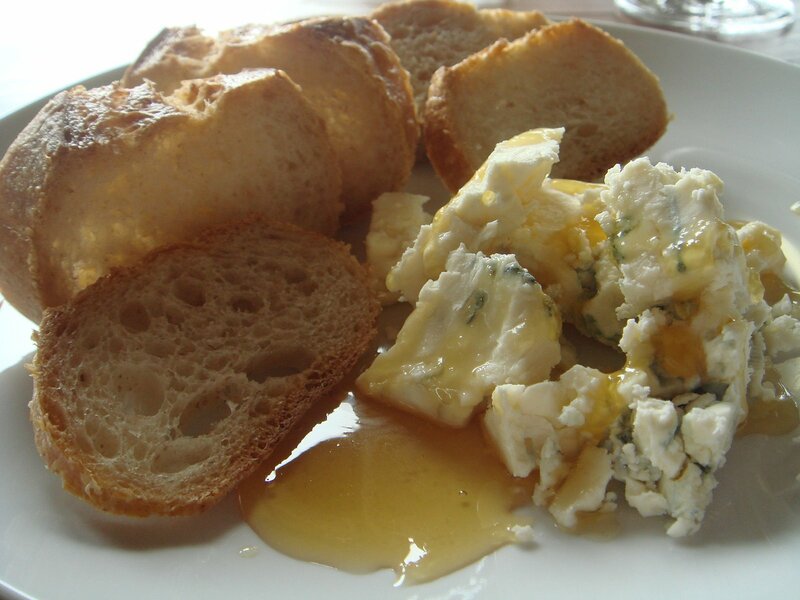 One of the local cheeses was of the blue variety and if you know me at all, I was never much for blue cheese. It’s pungent and overpowering. Not something I usually liked to indulge in, but the chef paired this blue with a local honey. I began the evening stating that the blue cheese was all his, but the foodie inside convinced me that I should always try new things. I ate beef tongue once and enjoyed it, for heaven’s sake. I should be able to muster up the courage to try the damn cheese. And I did. Let me tell you something, this combination was the most divine flavor I had ever tasted in my entire life. It made me forget about all my preconceived notions concerning blue cheese because it does have a place and it can be utterly delicious. The creaminess, saltiness, and tanginess were mellowed by the sweetness of the honey. The two ingredients came together to create a flavor that I’ve continued to crave to this very day. (It’s been two years just to keep you up to date on the timeline here). It’s experiences like these that make dining out worth it. They make the bad experiences fade further from my memory while also making the good ones even more memorable. Maybe these memories have been pushed to the back of my mind while day-to-day tasks and stress have remained at the forefront, but I don’t worry. I know that the next time I try something new, a concept that I can’t seem to wrap my head around, it will bring a rush of these wonderful memories that allow me to re-live all of these experiences. Maybe this will happen to you. Who knows, it might inspire you to write your own piece on the experience.